Trust the remodelers who know what they’re doing. Trust Schultz Remodeling. You care about the details. So does Schultz. Know that quality is our TOP priority! Other companies may not care about completing projects on time. Schultz does. Schultz Remodeling will help transform your house into your dream home! 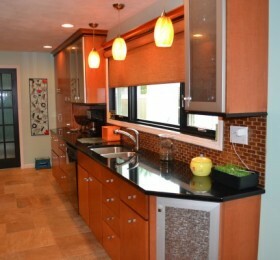 Looking for reliable remodelers? Your search is over. Schultz Remodeling specializes in custom home remodeling. As a general contractor in the Peoria area, we use only expert craftsmanship and the finest quality materials in your home improvement projects. Our goal at Schultz Remodeling is your satisfaction. It’s what has kept our remodelers in business for the past 18 years in East Peoria, Peoria, Pekin, Morton, Washington and beyond; and we believe it’s what will keep our customers coming back in the years to come. Your bathroom can be your oasis. It can be the place you go to relax and unwind after a hard day at work. Right now, there may be obstacles that are getting in the way of fully enjoying your bathroom. Maybe your tile’s cracked and grubby. Maybe your wallpaper is dated and it’s driving you nuts. Maybe you want a separate sink for you and a loved one. 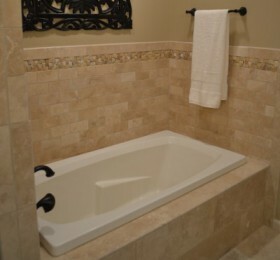 At Schultz Remodeling, we can take your bathroom and transform it into the space you’ve always dreamed it would be. When we’re done, you’ll hardly believe it’s your bathroom. 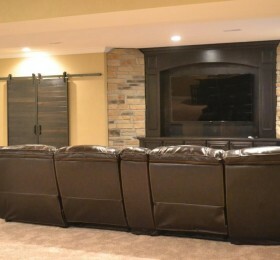 Many people feel their basements are too dark, dusty or unpleasant. If you have been avoiding your basement, you are not alone. But the reality is this: Your basement makes up an entire level of your house! If you feel like your basement isn’t a truly livable, functional space, you aren’t tapping into the potential of your home. Instead of rushing downstairs to grab something from a dusty, half-forgotten box, let’s create a space that you’ll actually want to spend time in. Let’s transform your dungeon into a functional level of your home. Do you want to increase your square footage of your home? Do you want to improve the functionality and value of your house? Room additions are the perfect solution. Whether you want an additional guest bedroom, bathroom, laundry room, deck, or any other kind of space, Schultz Remodeling can give you the space you desire. Room additions make your home more enjoyable and convenient to live in. Imagine inviting a tired guest to stay overnight in that spare room. 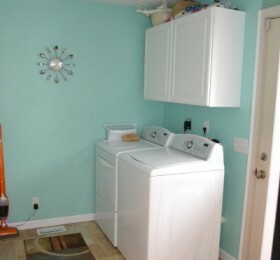 Imagine not needing to go downstairs to do laundry. See how room additions can change your life! We all know that a kitchen is never “just” a kitchen. A kitchen is the place where memories happen. It’s where you bake cookies during the holidays. It’s where you try your hand at a new recipe—with varying results. It’s where you chop onions until you cry. You live in your kitchen day in and day out. It’s an integral part of your life. Let’s make it a place you truly enjoy. Whether you’re looking for a sleek, modern kitchen or a warm, homey one, Schultz Remodeling will customize your kitchen to match your personal tastes.